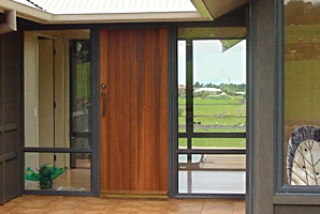 Doors 'n' More is a 100% New Zealand owned family business with a combined industry experience spanning more than 40 years. We are all about you, our customer, and what we can do to help you succeed in your job and/or project. Guided by our 5 Values we ensure that promises are kept, only quality is delivered, whether in service or product, and you get the best experience possible. We are passionate about creating openings to success whether that be for our employees or for you, our customer. Share with us today how we can help, what you want to achieve and we will be there to support you the whole way. Our word is our bond - we promise it, it happens. Focus on the customer and everything else follows. If we make a mistake, we fix it FAST.